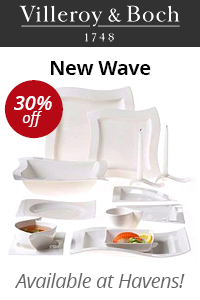 A contemporary cream bodied china with elliptical flowing shapes make this a very trendy tableware range. 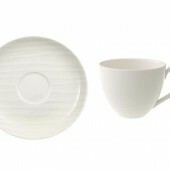 The dinnerware has embossed wavy lines imitating sand, hence the name Dune Lines. This is modern, practical tableware that can be used everyday and will also create an impression when used for more formal dining.